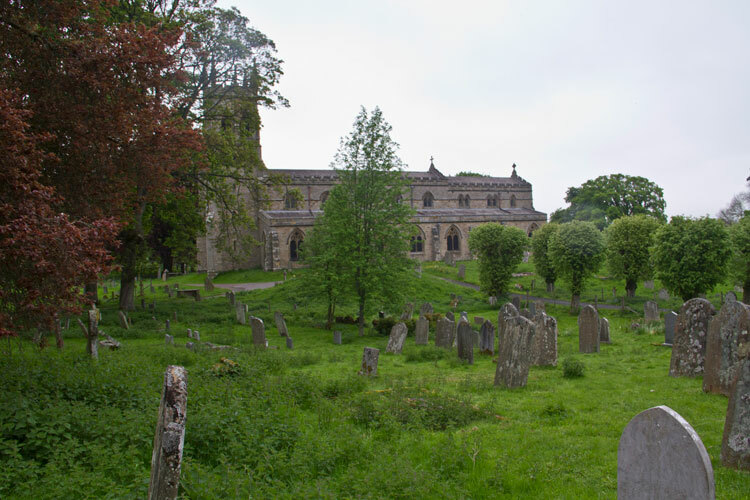 Aysgarth (St. Andrew's) Churchyard. 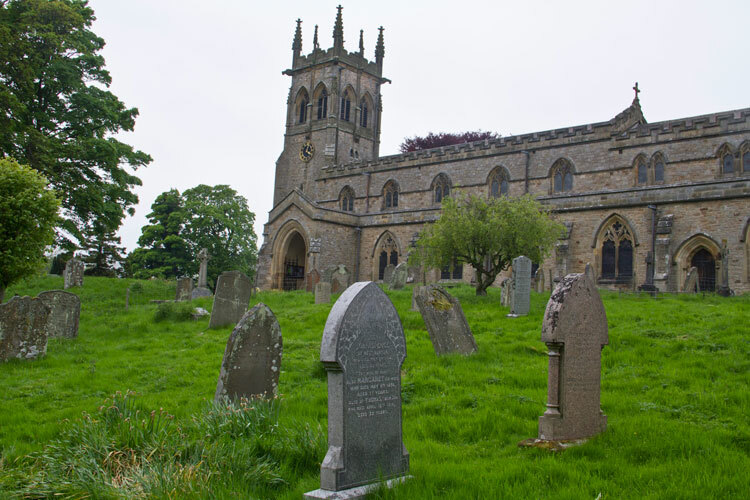 There are 6 Commonwealth War Graves in the Churchyard, relating to both the First and Second World wars. Two of these graves are for men who served with the Yorkshire Regiment. 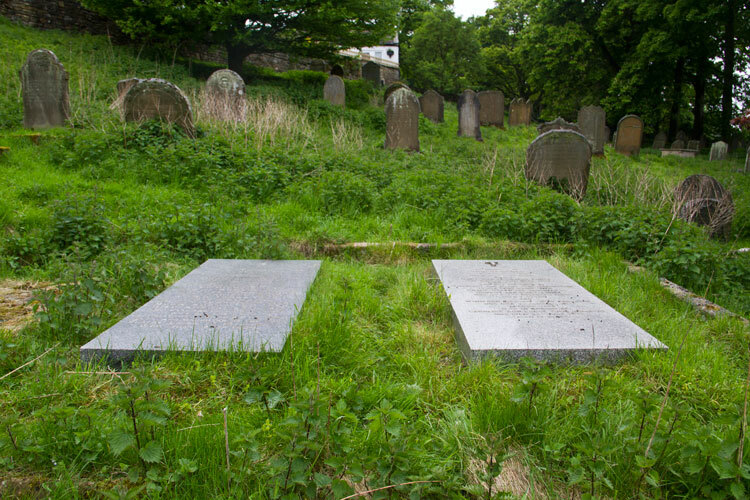 The churchyard tends to be somewhat overgrown, and finding the graves is not totally straightforward. A detailed photo of the left-hand headstone, - includes Colonel Lodge's commemoration, is below. Colonel John William Lodge. 3rd Battalion Yorkshire Regiment. Commanding 2nd (Home Service) Garr. Bn. 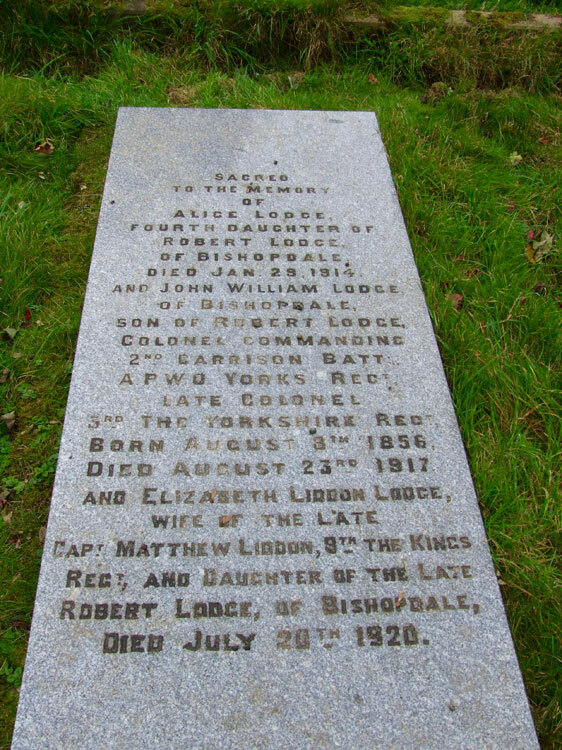 Son of the late Robert and Mary Lodge, of Bishopdale, Aysgarth. Commanded 3rd Bn. in the South African Campaign. Died at home 23 August 1917. Aged 60. 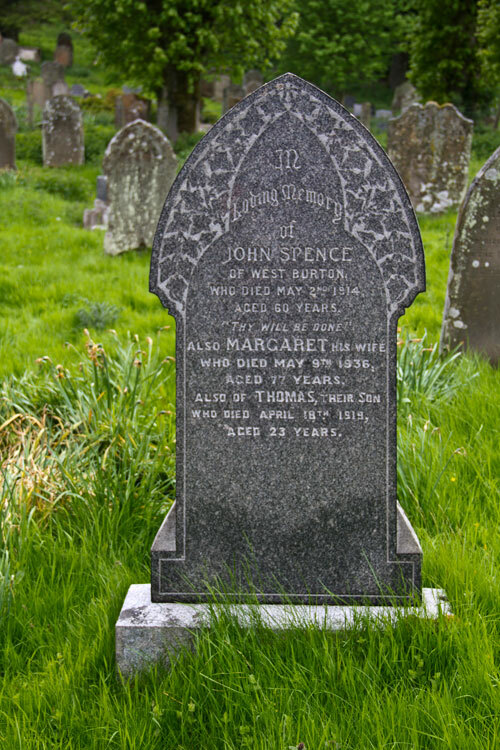 Son of John and Margaret Spence, of West Burton, Aysgarth. Died at home 18 April 1919. Aged 23.